Originally a local lass from the Odiham area, Rachel has lived in New Zealand for 9 years. Since returning to the UK, she has worked as programme manager for a busy young persons outdoor centre. 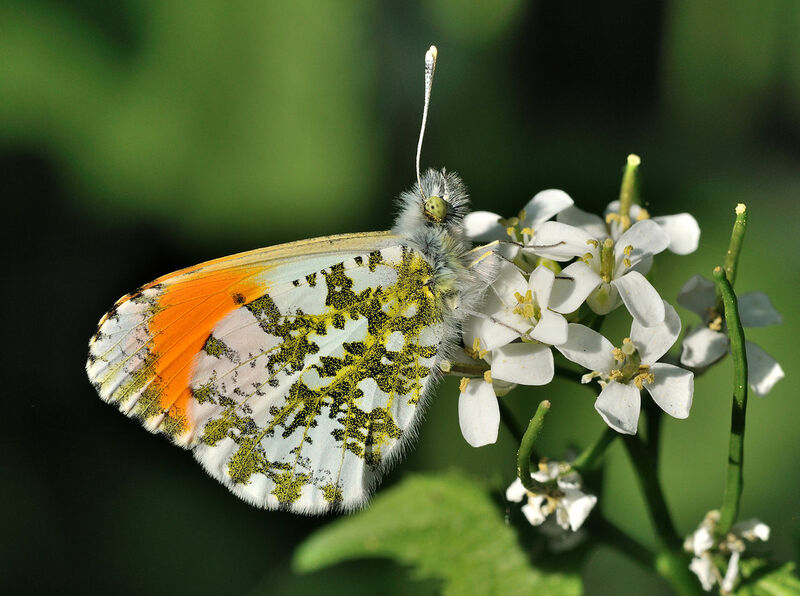 Rachel then decided to turn her diploma into a BSc and is now in her second year as a student at Sparsholt College, studying Wildlife Conservation. Having done her work placement with Hart Countryside Services and volunteered with the team, she was given the opportunity of a 6 month role as seasonal countryside ranger to help the team with the many tasks at this busy time. A Fish Found Whilst Going Round The Pond (see picture above). 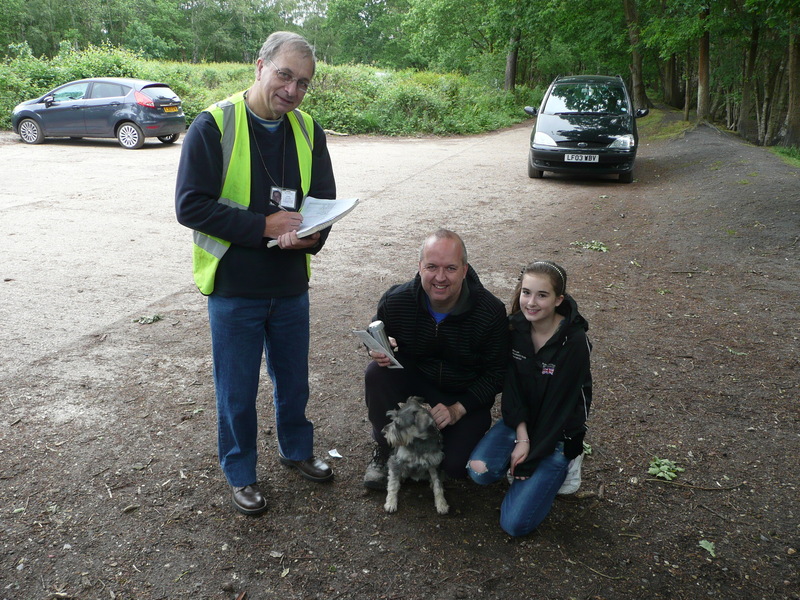 At this event we initiated a survey of visitors to the Pond. 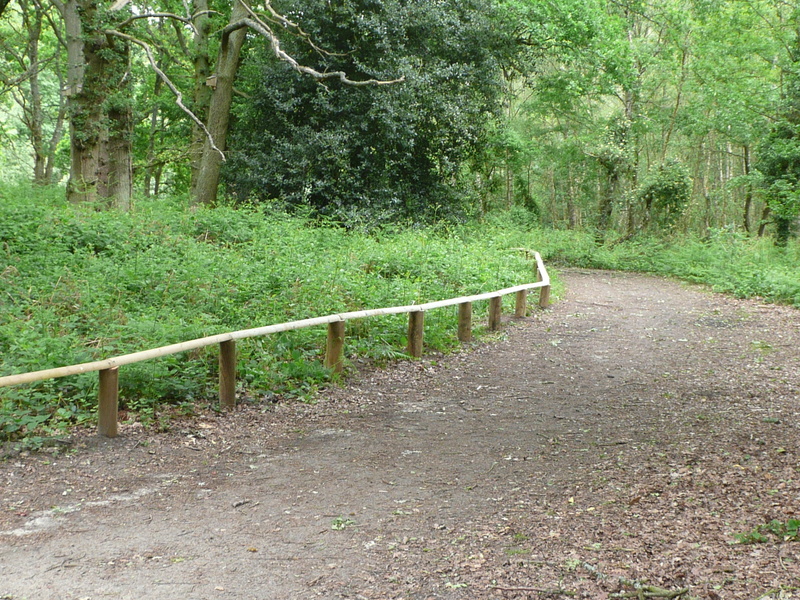 We started with two high-usage locations: the car park and near Chestnut Grove (see the map in the About page above for further details). The feedback was very positive! The data gathering will continue over the next few weeks at a variety of locations so that a balanced assessment can be made. The objective of the survey is to provide evidence for the popularity of the Pond and to understand its usage in more detail. This will help support applications for funds from new developments in Fleet and Hart in general, if we can show that people visit from a wide area. 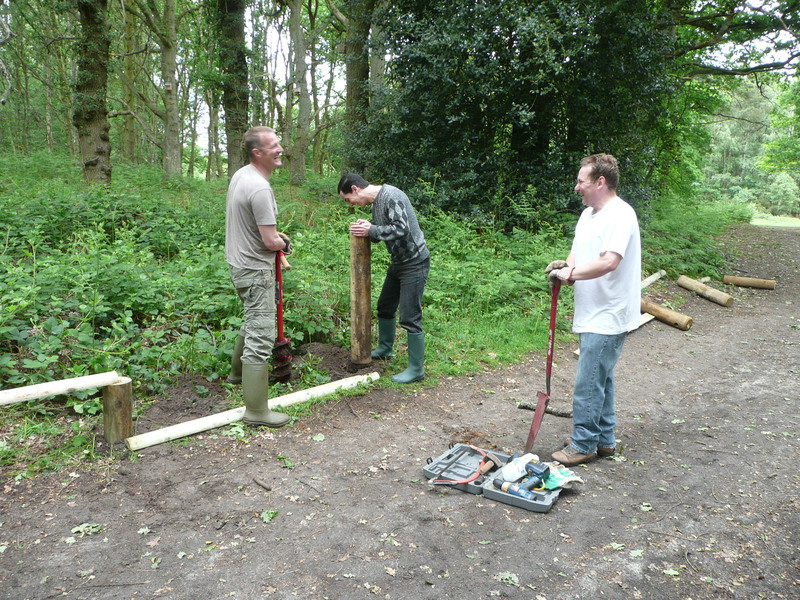 The bulk of the volunteers (sample group above) carried on with the fence work started last month. An example of the finished product is given below – a very well-done job! There is a summer break in the Sunday volunteer events. They will start again in September 2012. 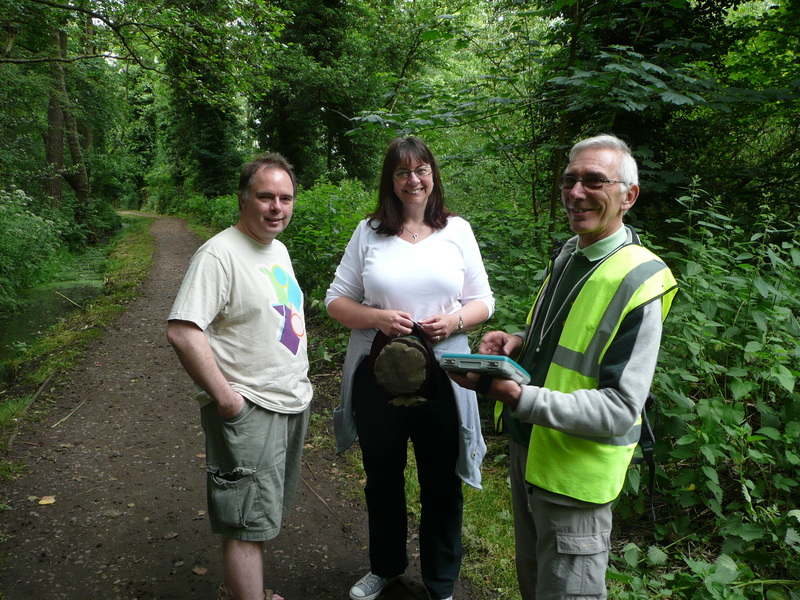 Details of many previous events can be found by searching this blog (see rhs) and an overview for 2011-12 is given here. 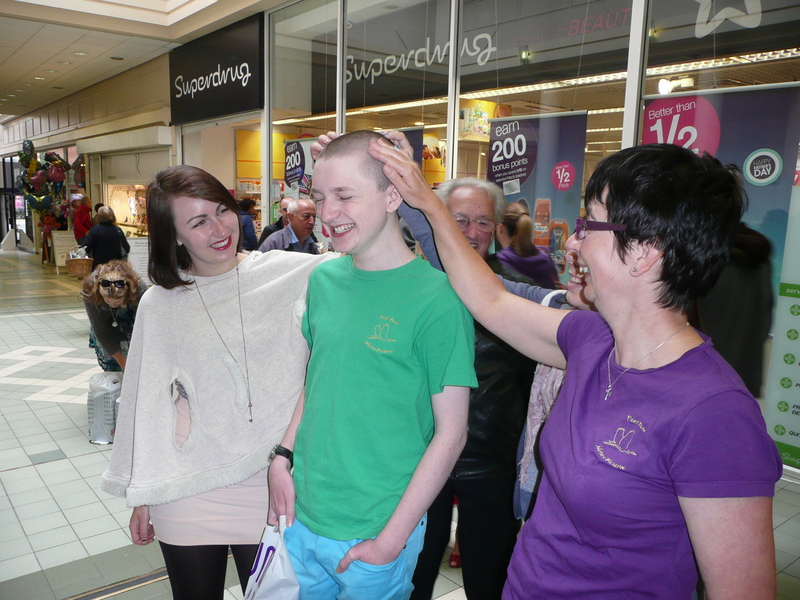 Fifteen year old Ryan Saxby, a Year 10 pupil at Courtmoor School, had a close shave outside KJM Salons, in the Hart Centre last Saturday. His shoulder length locks were shaved off to raise money for Fleet Pond Society’s ‘Clearwater Campaign’. Ryan’s supporters watched as Brooke-Ellen Collins, of KJM Salons, applied the clippers and proceeded to give Ryan a number one cut. Many Saturday shoppers stopped to offer Ryan support by popping money in his sponsorship pot. It is not too late to sponsor him and if you would like to do so please visit www.charitygiving.co.uk/closeshave. 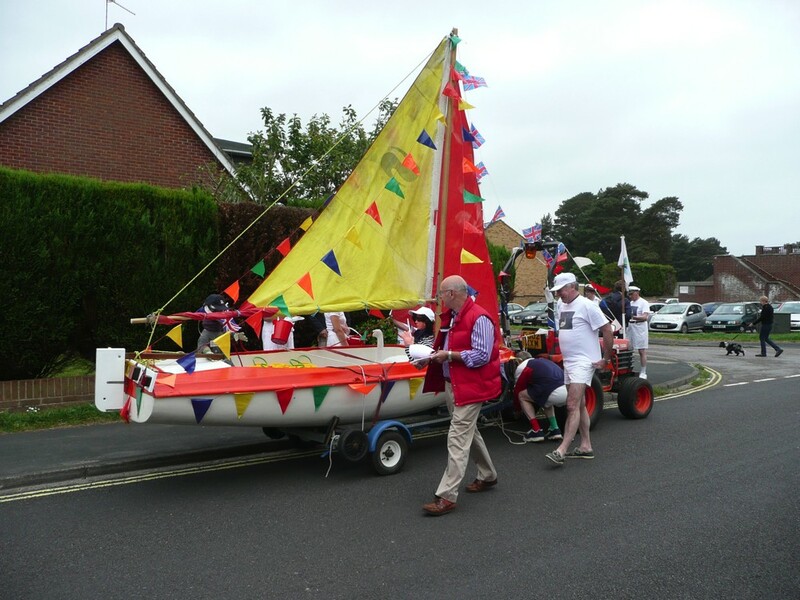 The Clearwater Campaign is organised by Fleet Pond Society in order to increase public awareness and raise money towards restoring Fleet Pond. 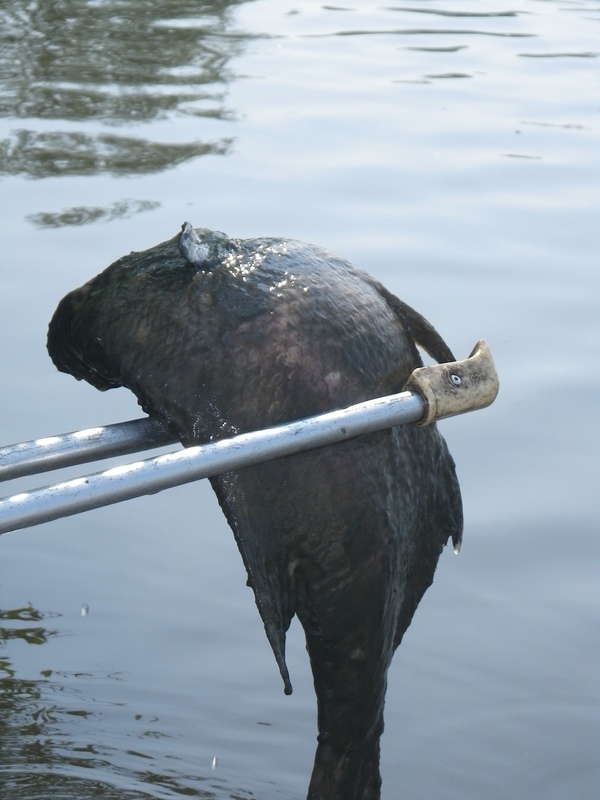 Silt has caused a serious deterioration of the Pond’s water quality. 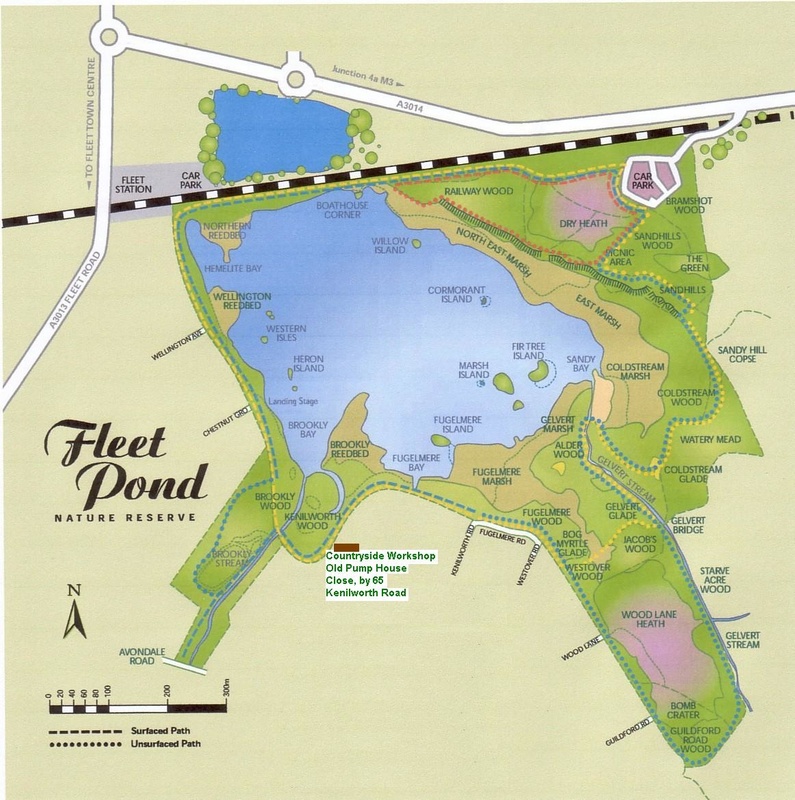 For further information on the Clearwater Campaign, please visit www.fleetpondsociety.co.uk or search for a variety of articles on this blog eg Chris Packham At Fleet Pond. Further photos of the event are available on Flickr – see here. Mike pictured on the jetty by the station, with Dimension Data’s office in the background. Mike Ollington, of Dimension Data, based at Waterfront Business Park in Fleet, has got a tough weekend ahead. He’s planning to walk 26 miles up the 3 tallest mountains in the UK, in under 24 hours – all to raise money for the Fleet Pond Society! 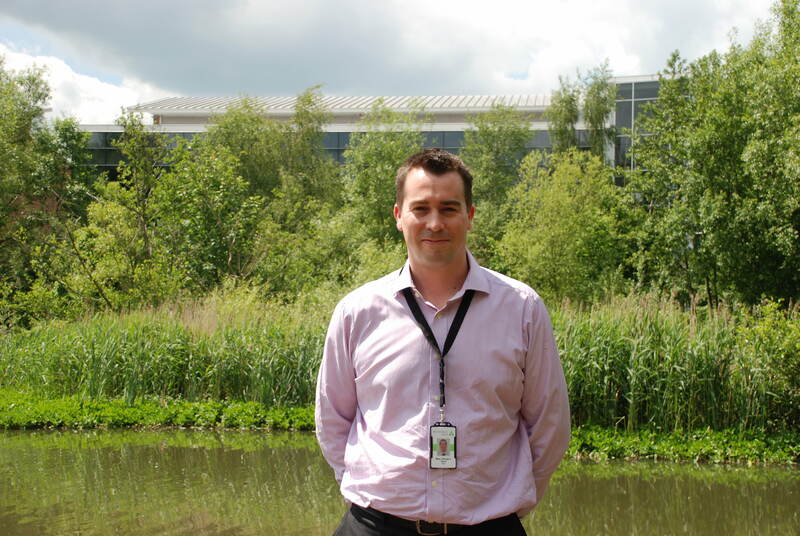 Along with a group of his Dimension Data colleagues, Mike will be undertaking the gruelling Three Peaks Challenge. This starts with a climb of Ben Nevis on the morning of Friday 22nd June, followed by a drive to Cumbria to walk Scafell Pike, and ends with a cruise to North Wales to hike up Snowdon. 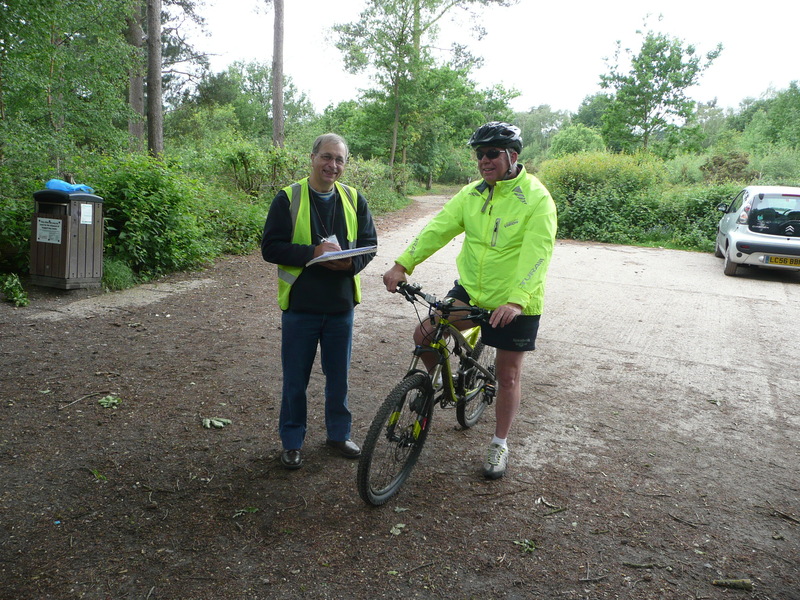 Mike decided to raise money for the Society as he, and his family, are frequent visitors to the pond, where they enjoy walking, cycling and feeding the ducks. The Fleet Pond Society are extremely grateful to Mike for his heroic efforts and will be delighted to spend any money raised in continuing to improve amenities at the pond. 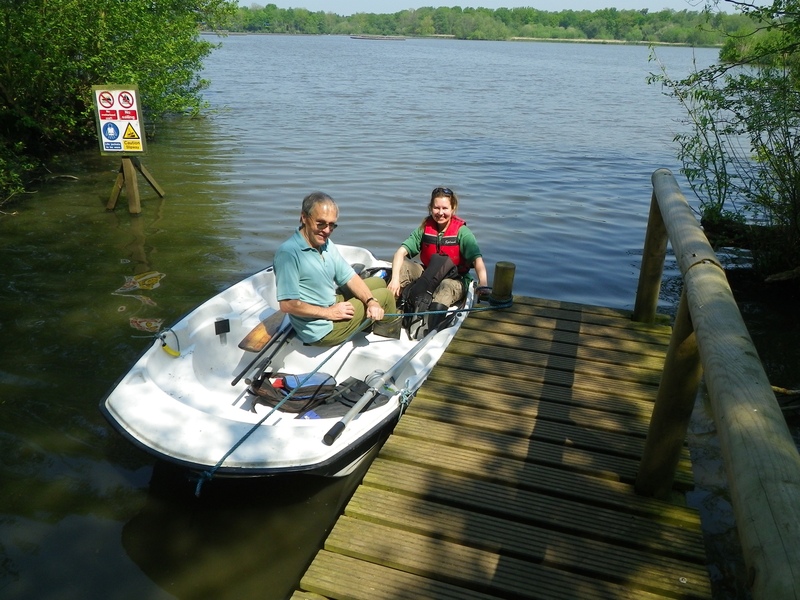 A pond dipping platform for children and a plant nursery to support the reestablishment of aquatic plants from the native lake sediment seed bank are just two projects that we are hoping to be able to fund in the near future. 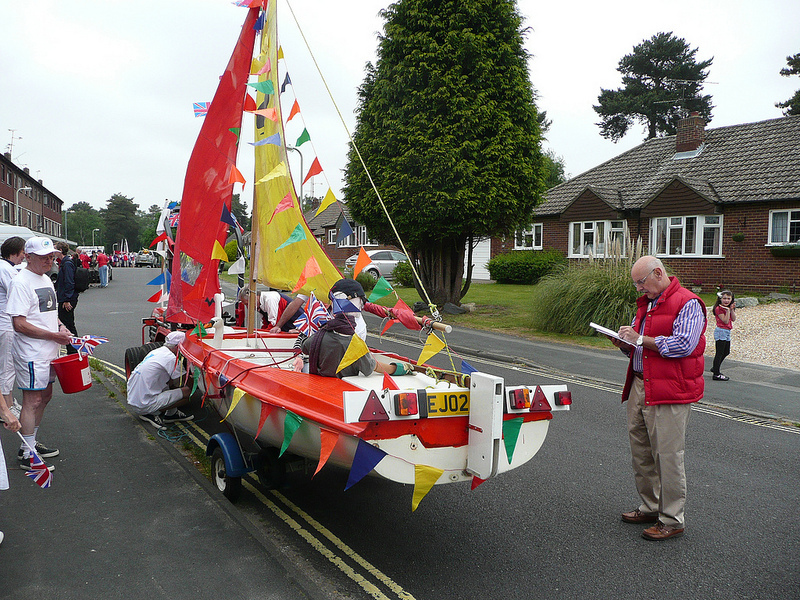 Our lovely Carnival boat is for sale, click on this link to Ebay for details. Only two more days to go, so get your bids in now. All proceeds from the sale will go to the Fleet Pond Society’s Clearwater Campaign. 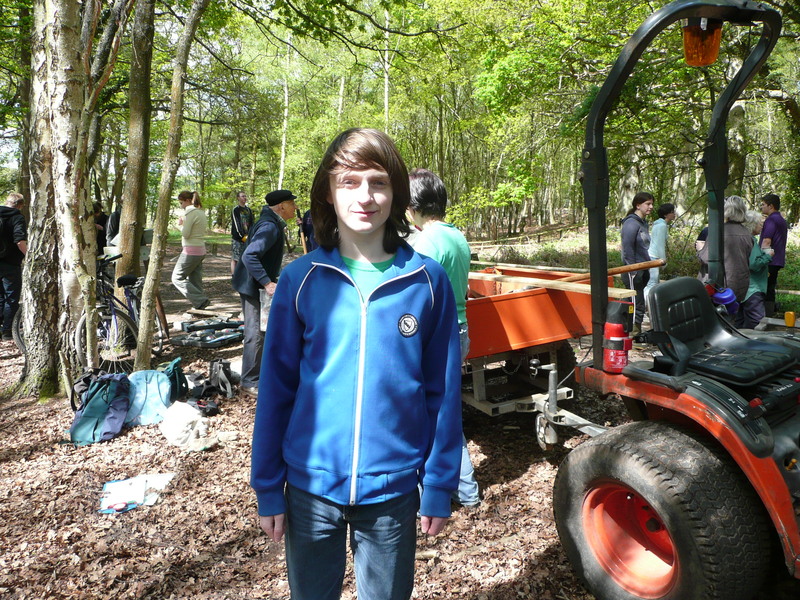 Ryan Saxby (above) is one of our volunteers and he’s very committed to Fleet Pond and it’s conservation. 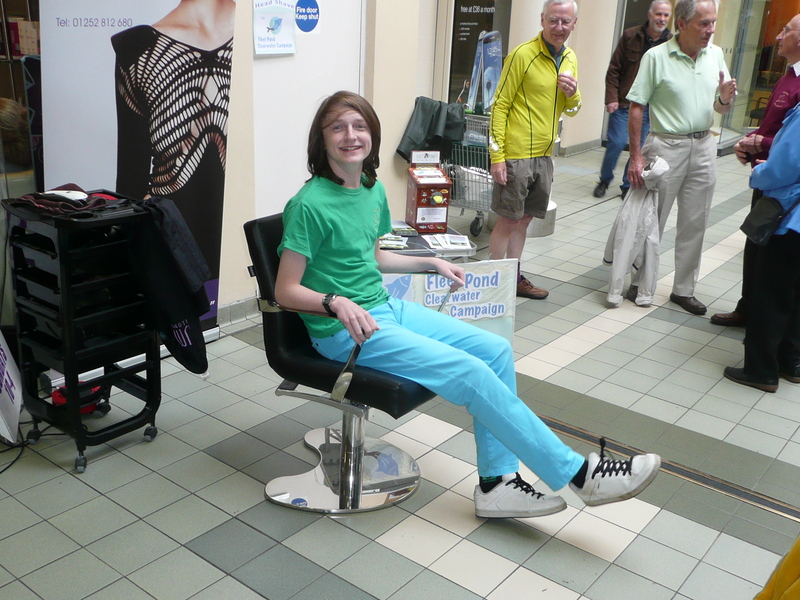 So much so that he’s volunteered to have his hair cut off to raise money for the Fleet Pond Clearwater Campaign! If you are in Fleet tomorrow morning (Saturday 16th June), please call by and support Ryan. 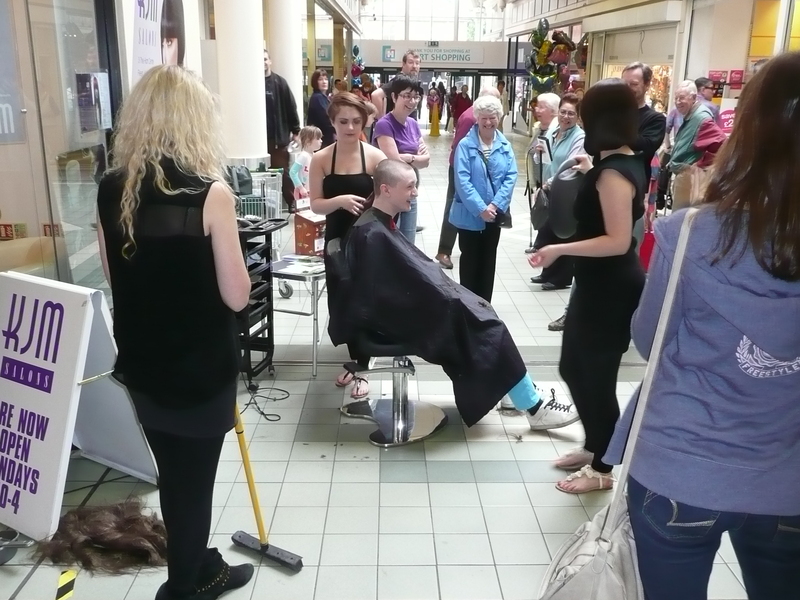 The head shaving will take place outside KJM Salons (next to Waitrose) in the Hart Centre at 11:00 am. 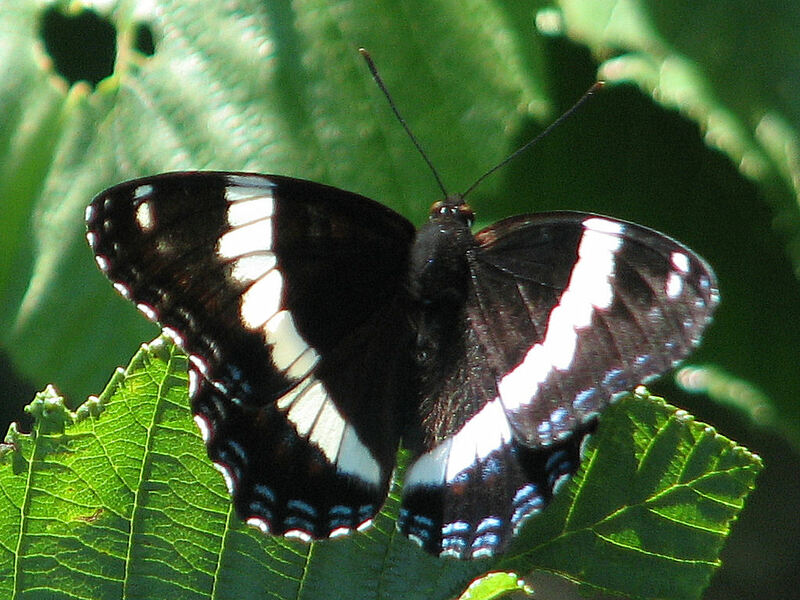 You are currently browsing the Fleet Pond Blog blog archives for June, 2012.